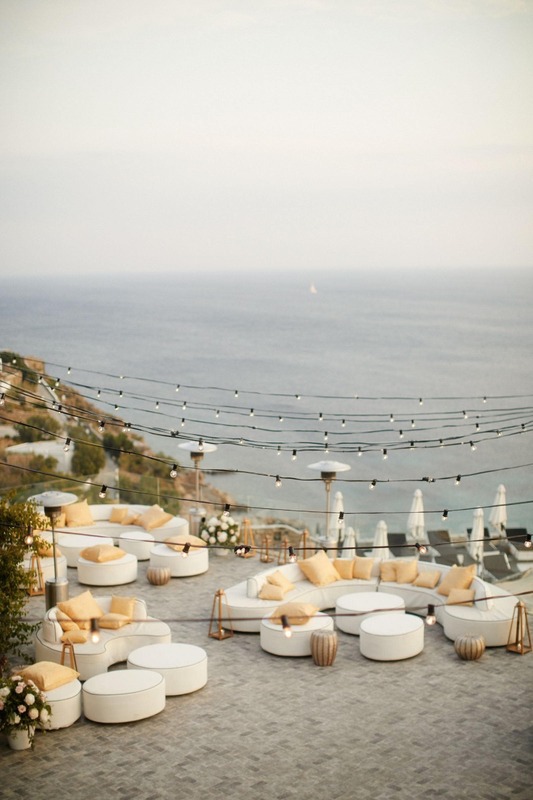 8 Steps to a Chic Wedding In Greece! We have all seen and fallen in love with those gorgeous photos of crisp white and blue cliff side cities in Greece. Who hasn't wished they could just hop on a plane right now and find yourself in the midst of that sea side city. 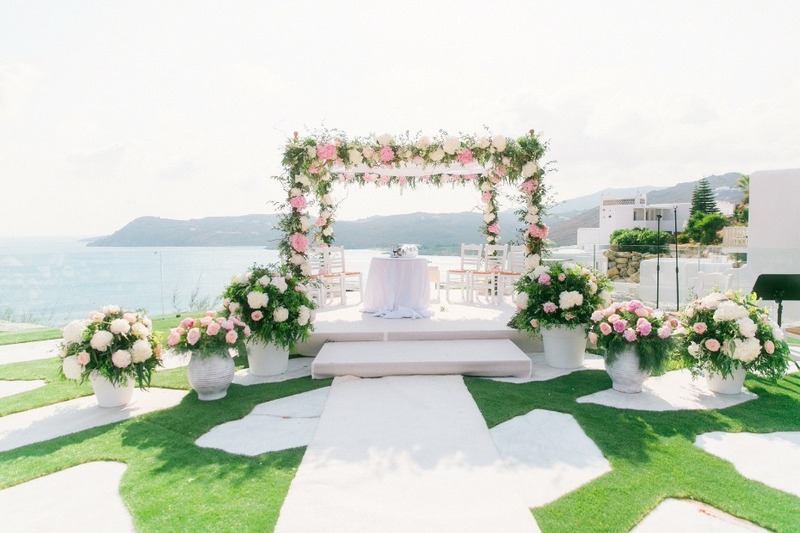 What might it be like to say "I do" in such a picturesque location? 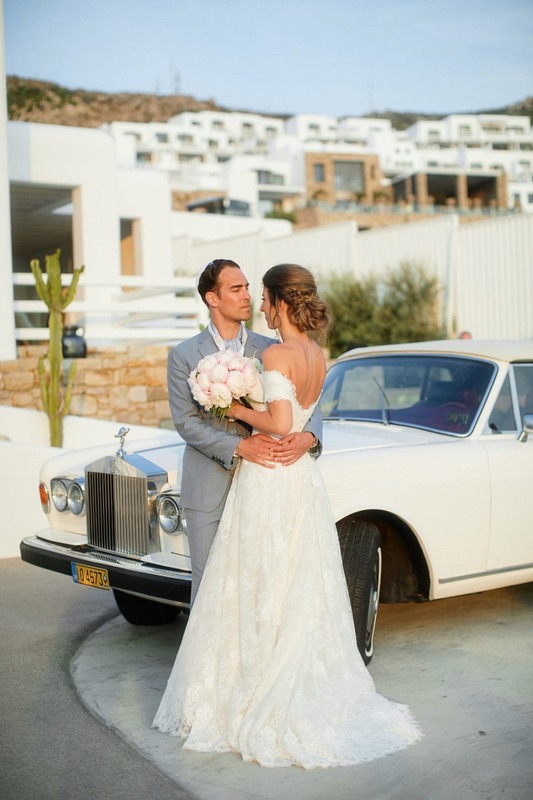 Well just fallow our next couple to learn what they did to create their chic wedding day in Greece! Stick around after and check out all the details in the full gallery thanks to Sotiris Tsakanikas. 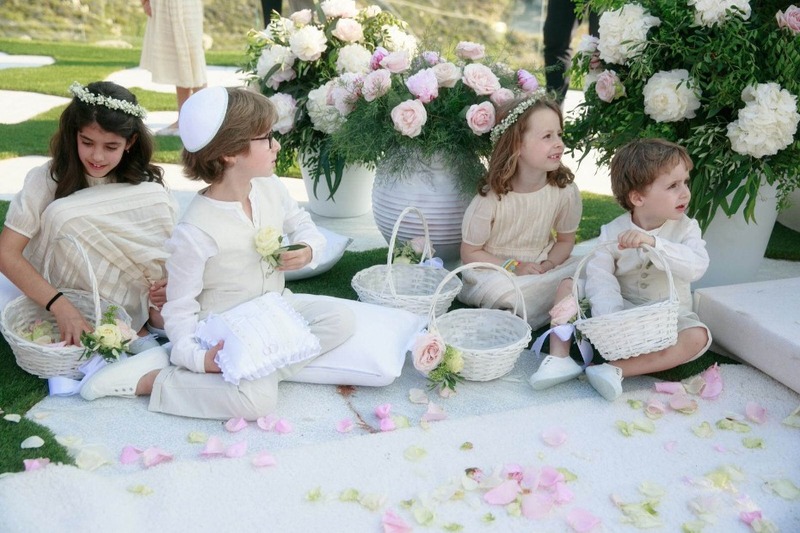 This wedding is mind blowing-ly awesome and you will want to see every last bit of it! Spoiler, there is a floral jungle set up at their reception compete with white porcelain monkey statues! Yeah you are gunna want to click here for the full gallery. 1. Start With A Killer Location! 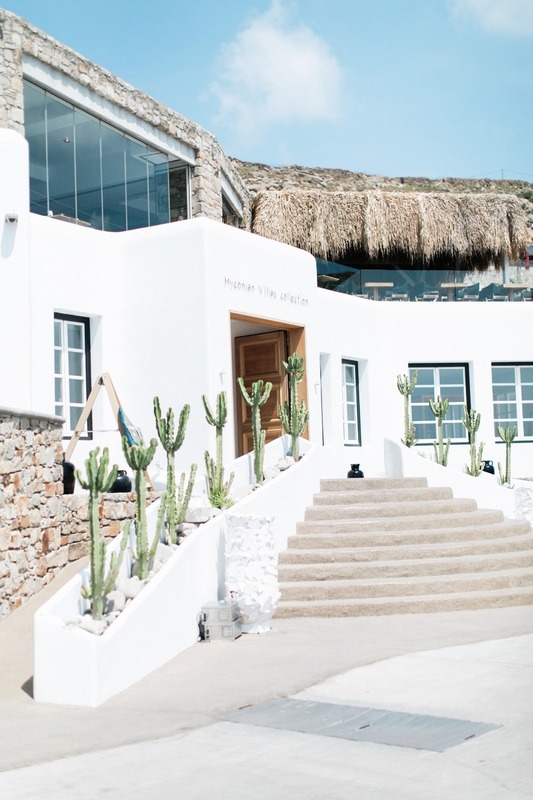 The day started off with the bride and groom preparations at the Relais & Chateaux - Myconian Villa Collection, a cluster of luxury retreats soaked in cutting-edge design details corseted by Aegean stone walls and granite rocks. 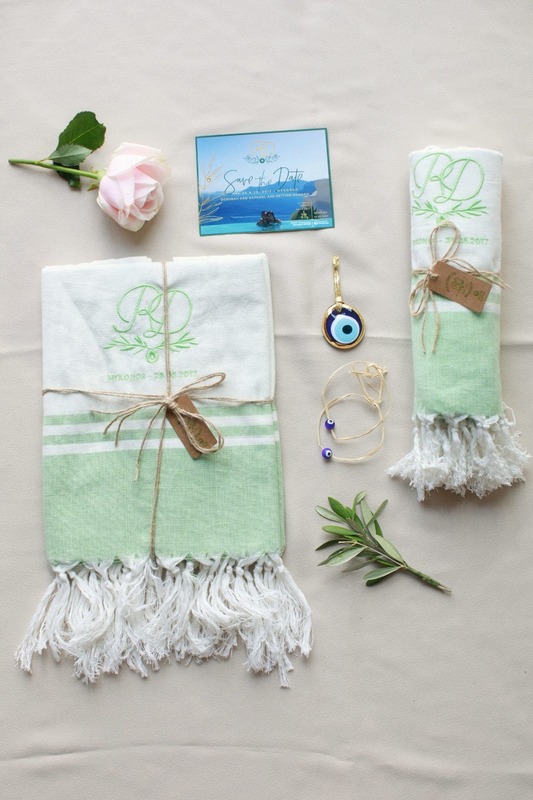 The couple had a sublime lineup of designer details, as well as a lovely array of goodies for their guests (a greek "mati" good luck charm and a set of handspun hammam towels) that totted up to the day's splendor. A pair of Mabel 95 Jimmy Choos added a touch of whimsy to the bride's stunning Monique Lhuillier gown and demure summer gloss by Greek make-up artist Maria Kaku, while the trim bridal party went for a palette of nudes all perfectly complementing Deborah's style. 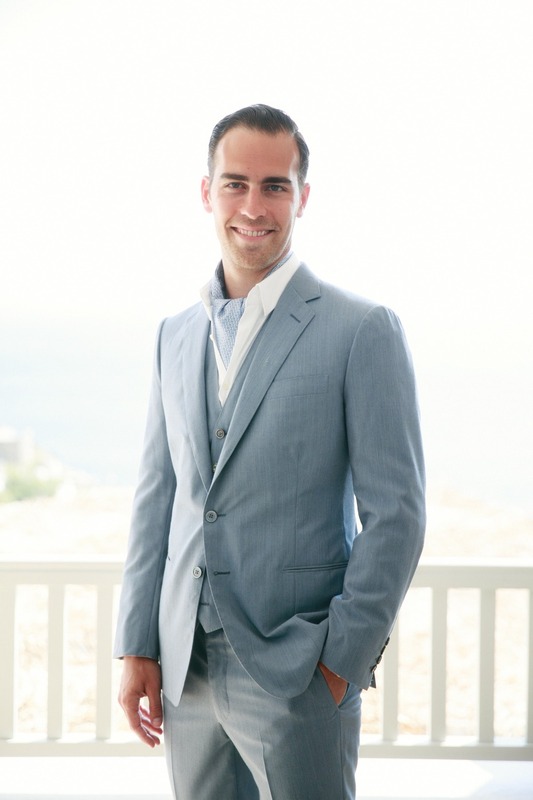 A sharp looking groom Raphael, in a blue-grey tux by Paul Smith, Fratelli Rosetti teal moccasins and Borsalino hat, took time to enjoy his preparations, sharing some boys will be boys time with his groomsmen. 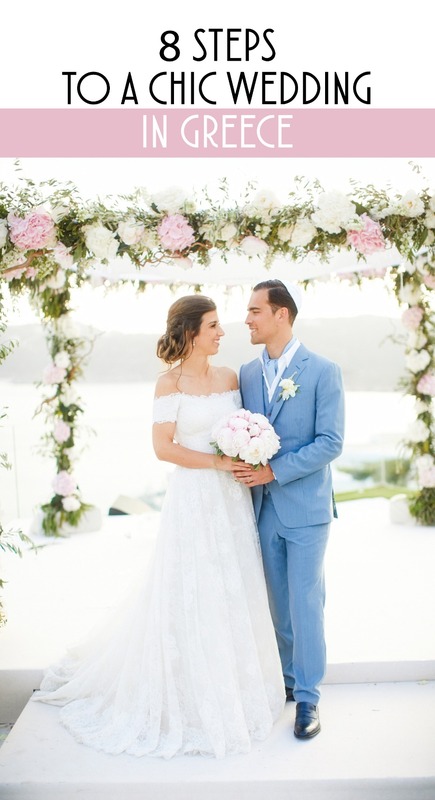 The ceremony was held al fresco, perfectly designed and coordinated by the talented RT Events, under a canopy of muted greens, starch-white and pastel-toned hydrangeas with tiny splashes of hot pinks and creamy yellows to couple the bride's timeless pink peony bouquet by Emy. Well-thought details such as mint parasols and ornate hand fans kept the merry guests refreshed, as spruce juleps and fruit bites arrived at the cocktail bar, finely catered by the Myconian Collection. Following the warm Mazel tov and family speeches to the sounds of the Wave, a classical music Israeli quintet, an all white 1978 Rolls Royce Cornice awaited to take the newlyweds on a small tour for their portraiture. 8. Did We Mention Flowers? 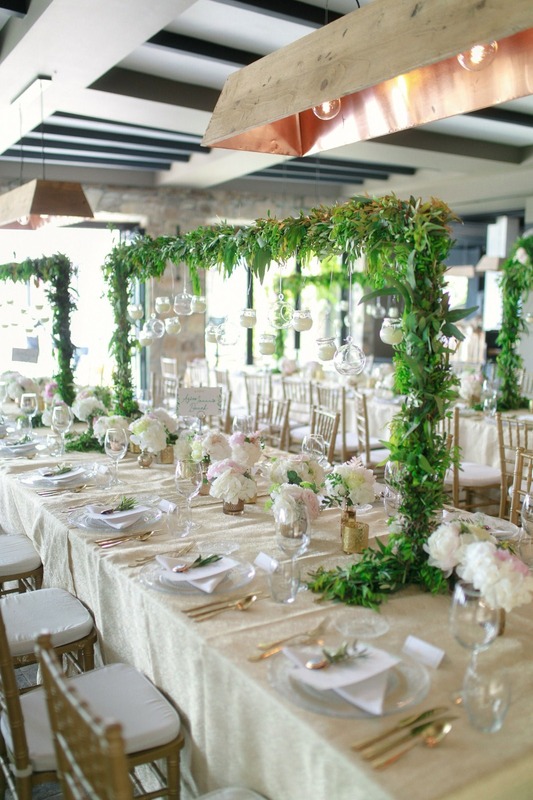 We arrived to a breathtaking jungle scene on the reception's roof burnished with crystal bell chandeliers and ivory monkey statues, while a sea of hanging lanterns and glass balls filled with flowers emphasized the romantic candle-lit tablescapes in accents of gold. As the light gave way to the stars the couple enjoyed an upbeat wedding party under the starry Myconian skies.